Lucy Routh is an artist specialising in painting contemporary still life subjects. Lucy grew up in Lancashire and later went on to graduate with a Fine Art degree from the University of Wales, Aberystwyth. Lucy is now settled in the South West with her family, living and working from her home in Rickford, North Somerset. Inspired by nature and the environment around her, Lucy paints everyday objects contrasting traditional subject matter with a contemporary approach. Painting from life, she chooses subjects which in shape, form and colour are interesting and beautiful to look at. Using a combination of ink and paint, Lucy has developed a very distinctive style, creating images that are bold, bright and fresh with a sense of space and simplicity. Although Lucy doesn’t live by the coast, she loves to regularly visit her family home in Cornwall. It’s clear to see in her work the inspiration found in the sea life there. 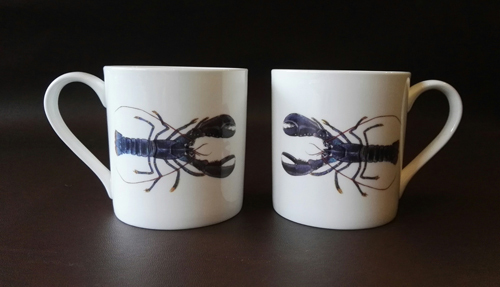 It’s probably fair to say that Lucy is most well-known for her paintings of fish and crustaceans which have become very popular for people buying art for their kitchens and dining rooms. 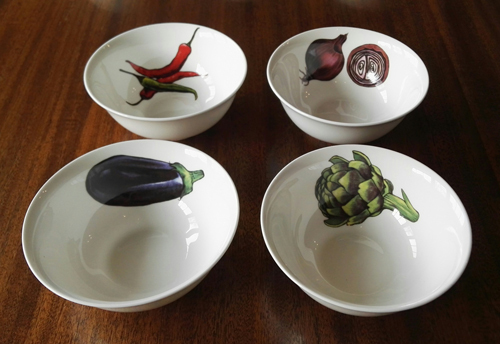 Amongst her other favourite subjects to paint are flowers, fruit and vegetables. 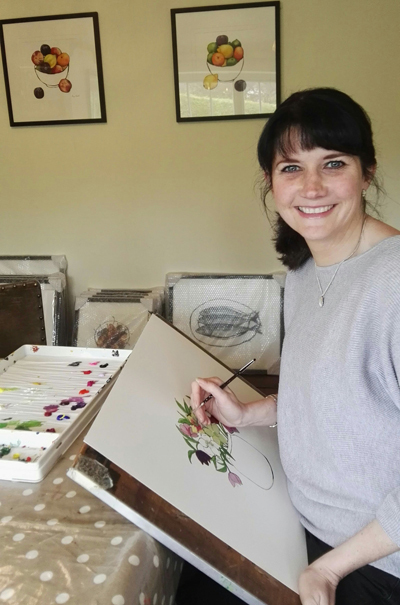 Since starting her own business in September 2012, Lucy’s work has been represented at both the London and Bristol Affordable Arts Fairs as well as being exhibited nationwide through a number of art galleries. Lucy has exhibited with Craft in Focus since 2014 and is looking forward to showing her work again this year at RHS Garden Wisley this Spring, RHS Garden Hyde Hall in August as well as the new shows to be held at Trentham Gardens in June and West Horsley Place at the end of November.